This is certainly an interesting lens, if not a new one. Introduced sometime in 2002, at the time of writing, still the only professional-grade DO lens that Canon has brought to market. The DO designation stands for diffractive optics. Canon made use of a multi-layered diffractive optic element in the lens design. The use of the DO element saves both weight and bulk when compared to conventional lens designs. No longer a new lens, the 400 DO is still current and is still available. Canon EF 400 DO f4 IS lens on a Canon 1Dmk4 body. Starting on the outside, the metal body feels and appears to be well-made. The lens is weather-sealed, pretty much to the same degree as any of Canons big L-series fixed telephoto lenses are. The lens mount is standard Canon EOS, with the rubber weather-sealing ring around the outside. 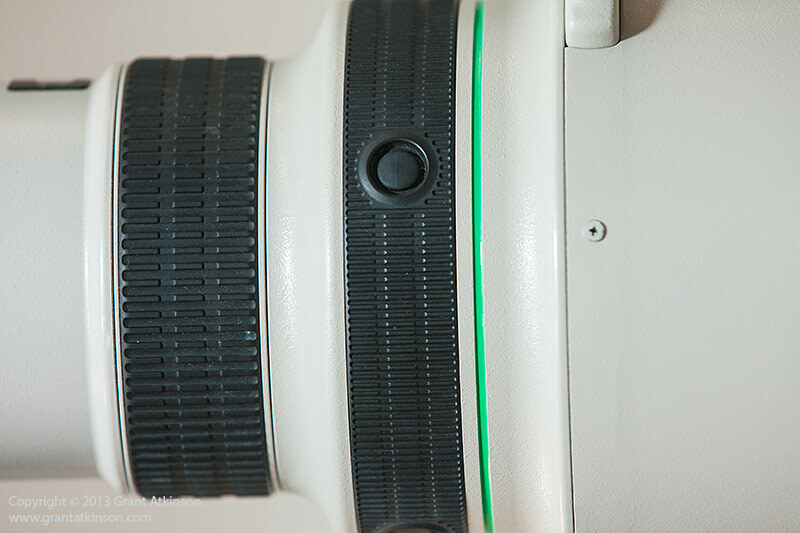 The base of the lens barrel is not textured for extra grip, like many of the latest telephotos from Canon. At the base of the lens barrel, there is a 52mm filter holder. The lens comes with a clear glass element in the filter holder, and Canon maintain that this should be kept in place when no filter is being used. I never use filters on long telephoto lenses, and make sure to keep this filter holder firmly in place, so that dust stays out. The 400 DO is supplied with a tripod ring. The ring is of the old Canon design, with a hollow locking knob but it works smoothly and is easy to use. I usually attach a lens plate to the bottom of the tripod mount, for a couple of reasons. The extra length of the lens plate makes it easier for me to hold the lens or rest it when I am shooting handheld. Obviously the lens plate also facilitates quick attachment to a mount. The tripod ring can only be removed by first taking the lens off the camera body. An aluminium identification plate and a distance scale are located on the top of the lens barrel. There are also mounts for the lens strap that is supplied with the 400 DO. When bigger and heavier lenses are mounted on cameras, it is best to carry the combinations by the lens, rather than having the weight of a big lens hanging on the mount of your camera body. The 400 DO is light enough that it will work both ways. A switch panel on the left side of the lens barrel houses switches for controlling AF/MF, focus distance and image stabilization. The switches are easy to use, but they protrude slightly from the panel, which means it is quite easy to accidentally bump them onto other settings. This is something to keep an eye on when shooting. Many photographers cover the switches with neoprene lens covers, which makes it much harder to bump them unintentionally. Canon’s newer lenses all have recessed switches that don’t get bumped. The EF 400 L DO IS also has image stabilization, although in its earlier form, with 2 to 3 stops of effectiveness. The focus ring is of a normal width, and textured for easy use. I prefer the normal width focus rings over the ultra-wide rings found on Canon’s newest big telephoto lenses, which I find I have to take care not to shift accidentally. In front of the focus ring is a black rubber lens ring that is fixed in place and is home to the lens function buttons, which can be programmed to perform various functions, depending on which camera body you combine with the lens. 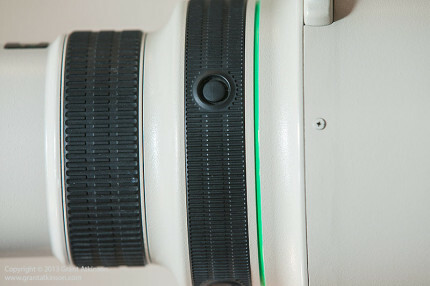 The collar where the lens hood mounts is painted white, and it can show scuff marks from contact with the lens hood, although they are not visible when the hood is in place. The hood attaches firmly with the locking knob and provides lots of protection for the front element, due to its depth. There are small screws at the base of the lens hood that can come loose over time. To prevent this happening on my EF 300 f2.8 L IS, which shares the same hood, Raymond from Cameratek applied an adhesive to the threads. That solved the problem. There is a leather-like front cover with a drawstring attachment that fits over the back end of the lens hood when it is turned around on the lens. Inside the magnesium alloy casing, the EF 400 DO f4 IS houses some high quality optical components. There is one diffractive optic element, and it is positioned just behind the front element, which serves a protective function. The diffractive optic reduces both the size and weight of the lens, when compared to conventional refractive optical elements. Canon claim particularly good chromatic and spherical aberration correction from the diffractive optic lens. There are 17 lens elements in 13 groups. There are 8 aperture blades in the lens diaphragm. The EF 400 DO f4 IS weighs just 1940g. It is a chunky-looking lens, relatively short, with the large lens hood making it appear bigger than it is. All moving parts are inside the lens barrel, and there is no change in size during focusing. The white paint coating the lens is tough, and also reflects heat when shooting in the sun. The lens comes in a very robust hard plastic case, that is good for storage, and for travel if space is not an issue…The case is well made and can be locked, but is quite bulky and has no space for anything extra. The EF 400 DO has also been around for long enough that it is available on the used-gear market. Using the lens on a tripod or mount worked well too, with the tripod collar having a smooth action and a positive locking action. There is a black line painted on the top of the lens barrel that helps with getting the lens and tripod collar properly aligned. 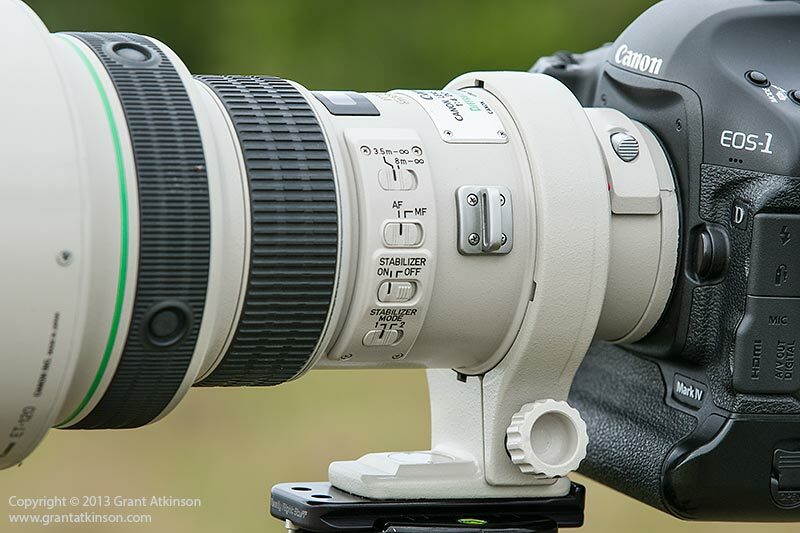 The EF 400 DO lacks some of the added features found on many other big Canon telephoto lenses. There is no Focus Preset ring, or switches for setting in a focus distance to memory. I never use that feature in the field anyhow. There is no power focus option for video. It doesn’t have the ultra-wide focus ring that is found on most of the latest Canon super telephoto lenses. This is not something that I miss, as the new focus rings are so wide that it is easy to shift them inadvertantly when using the new lenses. I like the fact that the EF 400 DO doesn’t have unnecessary ‘fluff’ in its feature set, but has everything that I use and need. Of course those shooters who use some of what I have mentioned here will disagree. The lens is equipped with an image stabilizer, and it has two settings. Mode 1 is for regular handholding use, whilst Mode 2 is for tripod shooting or panning, when stabilization is only needed in one plane of movement. The IS system is a little more audible than that on the newest Canon lenses, but not at all intrusive. The minimum focus distance on this lens is 3.5m. This means that there are a lot of other Canon lenses that will be better for photographing very small subjects from close distances. Attaching a 1.4x extender to the lens will help a little with increasing close-up magnification. 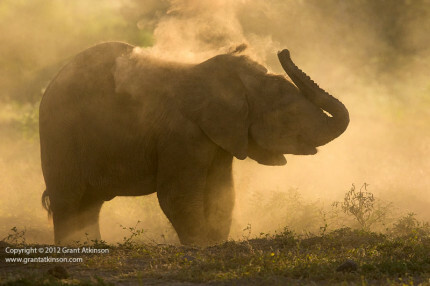 I enjoy the 400mm focal length for African wildlife photography a lot. It is long enough that it can get me good portraits of wild animals, especially mammals, complete with blurred backgrounds. It is also just enough for larger or more approachable birds. It gives a good working distance from bigger animals, and enables me to frame well without having to go so close that I disturb the wild subjects. And, if you are moving from an APS-C sensor camera and 300mm lens, the EF 400 DO gives similar framing on a full-frame sensor. I work with a good number of enthusiast photographers who have chosen the EF 400 DO as their primary long lens for wildlife photography and all of them are big fans of the lens and what it does for them. Autofocus performance was good with the EF 400 DO f4. 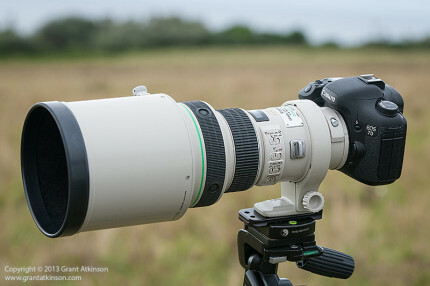 The focal length of 400mm is a moderate one in the world of super-telephoto lenses, and the field of view at that focal length is not so narrow that initial pick-up of subjects, especially moving ones, is too difficult with this lens. When paired with the 1Dmk4 or the 5Dmk3, I was able to tackle the fastest of subjects with some confidence. In the lowest light the EF 400 DO focused a lot slower, but was still accurate. In the field I ended up shooting it paired with my Canon 5Dmk3 long after sunset, and it outperformed the EF 100-400L on a similar body, shooting alongside one another. 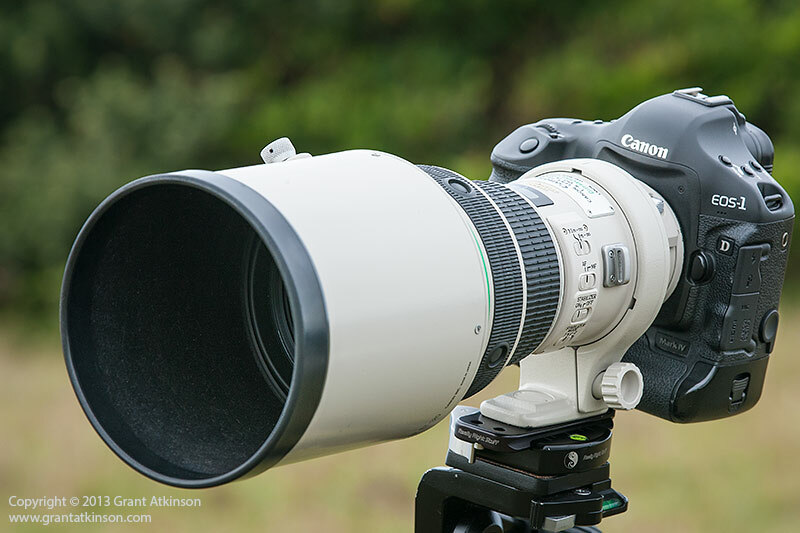 The 300 and 400mm f2.8 Canon telephotos remain the best options when it comes to focus in the lowest light levels. I used the 400 DO on three different Canon dslr’s, each with a different sensor size. On the Canon 7D with it’s APS-c sized sensor, the field of view is roughly equivalent to 640mm. The lightweight lens combines well with medium-sized camera bodies like the 7D, which is also not too heavy. The pair make for a powerful camera/lens combination with good resolution and AF response. Of course the 400 DO will also work very well with even smaller and lighter camera bodies like the Canon 6D and the Rebel/700D series too. The EF 400 DO/7D combination proved effective for smaller subjects that were far away. Autofocus was good. Low light performance was only average with AF and image quality. 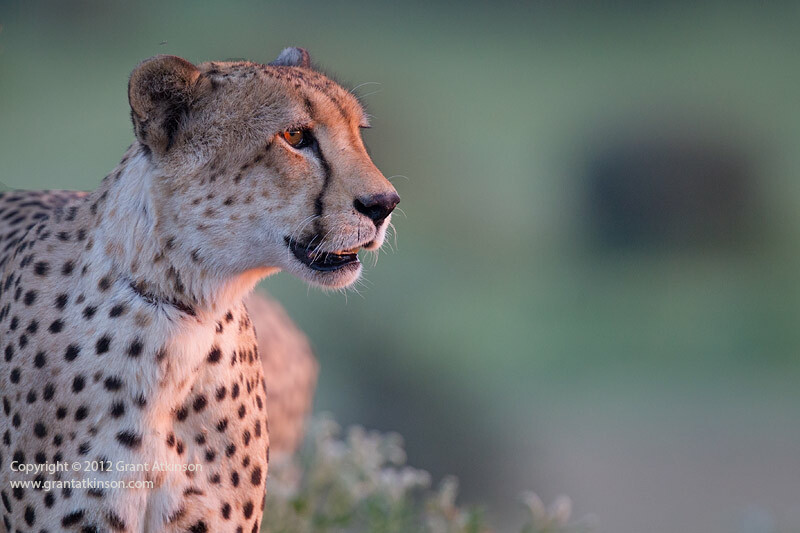 On the now-discontinued Canon 1Dmk4, which has an APS-H sensor in it, and a field of view equivalent to roughly 520mm, I enjoyed great results with subjects of all types and speeds. AF was fast and positive enough for even fast-flying birds, and the 1Dmk4’s resolution, and pixel pitch made this combination ideal for the wide variety of subjects that I typically photograph. On the 5Dmk3 with its full-frame sensor, the EF 400 DO performed very well. There is not enough vignetting to worry about even on the larger sensored camera, and AF was also fast, and accurate. 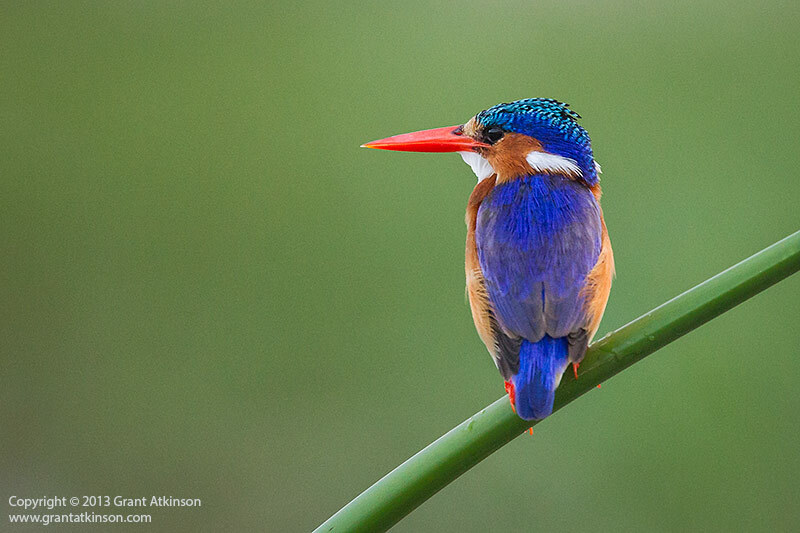 The EF 400 Do/5Dmk3 combination delivered the best AF and image quality performance in low light of the three. It is important to define what my own expectations are from these camera and lens combinations in order to better understand my evaluation. All of these cameras and the 400 DO will lock focus on a static or slow-moving subject, in an instant. I don’t even consider that a real test for modern AF systems at all. Instead, most of the shooting that I did with the 400DO involved static and moving subjects, some much faster than others, in bright light and sometimes in very low light. The EF 400 DO f4 IS USM is a sharp lens, of that I have no doubt. I obtained lots of images that I was very happy with, after an extended period of real-world use with the lens. I actually used the lens for a month of wildlife photography in some of my favourite destinations in the north of Botswana. It is worth noting that I had to choose between my EF 300 L f2.8 IS or the EF 400 DO f4 IS for the trip…airline weight restrictions mean that on that trip, there could only be one big lens. I did some brief testing of the two lenses side by side to make sure that I was happy before leaving my proven 300 f2.8 behind. I got very good results from the 400 DO, and had no misgivings about using it. Images taken with the 400 DO are not quite as sharp or punchy as those taken with either the older EF 300 f2.8 L IS, or the newest version of that lens. However, they are still quite sharp enough for my needs, and the extra 100mm of focal length came in very handy on many an occasion. Having more pixels on the subject is a good way to maintain high image quality, and having to crop less was a big plus for me in comparison to shooting with the 300 f2.8. I ended up shooting the lens wide open at its maximum aperture of f4 often, and got very good results. Whilst it may have gotten very slightly sharper when stopped down to f5.6 and 6.3, there was plenty of detail at f4, and I felt confident that I could select my aperture setting with creative intent in mind rather than being forced to stop down for sharpness. It is been documented that the 400 DO is lacking in contrast, but I did not notice this to any great degree. I shoot in RAW only, and process my keeper images individually anyhow, and almost invariably make contrast adjustments of some sort or another during the processing, regardless of which lens I shot with. Bokeh was good, though the 300 f2.8 can blur backgrounds just a fraction more. Colour was well rendered, even in low light. I really didn’t notice any colour fringing and other CA’s in any of the images that I kept. I also did not notice any vignetting with images taken with the 400 DO on the full frame 5Dmk3 sensor or certainly anything that would need fixing in processing. Shooting against the light the lens provided acceptable results. It can sometimes struggle to focus when a direct light source like the sun is shining into the lens, but in this regard it is about the same as Canons other older series 1 telephoto lenses. The EF 400 DO can also show a loss of contrast when shooting into bright, direct light but this sometimes be worked around by changing one’s angle or providing extra shade for the front of the lens. The amount of flare that shows up with the 400 DO was not very different to what my EF 300 f2.8 IS L produced. The new generation Canon telephoto lenses are superior by some margin when it comes to dealing with lens flare and direct light contrast loss.. This lens works very well with the EF 1.4x ii or iii extender attached. The combination effectively creates a 560mm f5.6 maximum aperture lens. Autofocus may slow down just a little, and absolute pixel level sharpness may also be slightly affected. In my experience, I get the best results out of lens and extender combinations when pairing them with Canon’s 1D bodies and also the Canon 5Dmk3. The combination worked well enough for me to use it effectively for birds in flight photography. 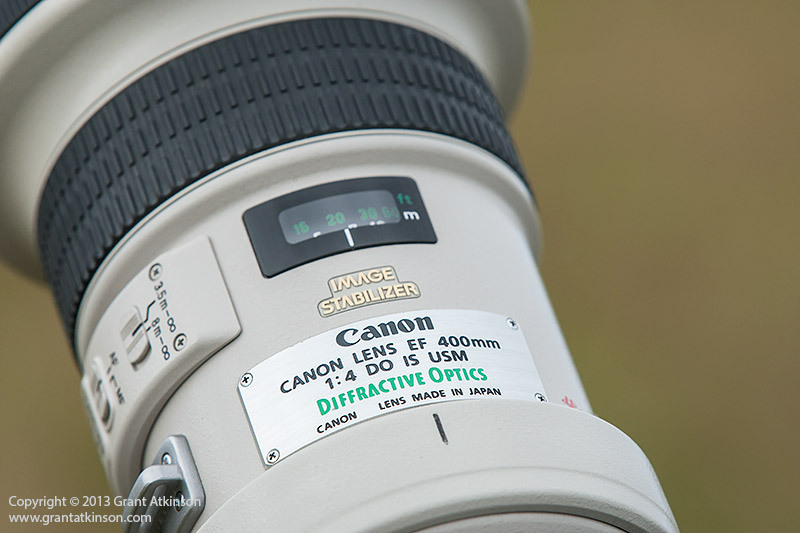 Canon EF 400 DO f4 plus 1.4x ii extender, Canon 5Dmk3. 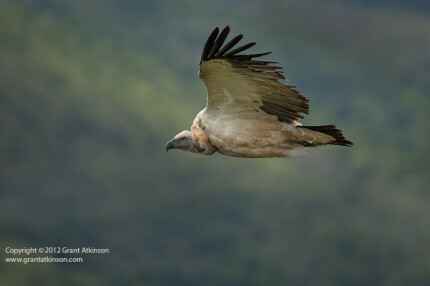 Cape vulture, adult. 1/2000sec at f5.6, iso 400. Click for larger view. It is also possible to mount a 2x extender on this lens, and if you are using a 1D series body from the last six years or so, or the 5Dmk3 with its recent firmware upgrade, then you will still have functioning autofocus, although it may be only the centre AF point. I did not try this out myself. I would expect quite a dark viewfinder and it would work best in brighter light. For a similar price the Canon EF 300 f2.8 L IS ii has a one-stop light gathering advantage and faster autofocus. The EF 400 DO f4 has an extra 100mm of focal length, and it weighs around 400g less. Adding a 1.4III extender to the EF 300 f2.8 L IS ii makes for a 420mm f4 combination, with image quality similar to the bare 400 f4 DO. The weight difference becomes approximately 600g, and the lens plus extender combination is significantly longer and bulkier. Another option is the Canon EF 400 L f5.6. The EF 400 DO f4 has a one-stop light gathering advantage, faster autofocus, and image stabilization. The EF 400 L f5.6 is 690 g lighter than the EF 400 DO IS, and sells for a fraction of the new price. The ever-popular Canon 100-400 L f4.5-5.6 IS is lighter than the EF 400 DO IS, has zoom lens flexibility, also has image stabilization and sells for much less. The EF 400 DO has a one-stop light gathering advantage, and faster autofocus. Canon’s just-released (at time of writing) EF 200-400 x1.4 L IS can do basically everything that the EF 400 DO can do, with the flexibility of a zoom, but it is bigger and heavier, and costs about twice as much. It may be that my own photographic preferences match up very well with the strengths of the EF 400 DO IS USM, perhaps more so than most. I have a strong liking for the freedom that its light weight and compact size confers when shooting. When you pair that freedom with good image quality, a decently fast f4 aperture and serious focal length, you end up with a strong combination. The light weight of the EF 400 DO means that it may still be the ideal wildlife lens for those who like to take their pictures whilst they are out walking. It is also perfect for nature photographers that travel a lot by air (and have to deal with airline weight restrictions). In fact, anybody who just enjoys the flexibility that a lens with a decent maximum aperture and focal length in a compact package allows will appreciate the EF 400 DO IS USM. Very interesting lecture!!! 2 years ago I reflected on this lens 400/4 DO because of its light weight. But – you know it – I bought a 300/2.8 II because of its better properties. I know, with this lens I am a little bit on the “short side”, but with an extender 1.4 III I have similar focal length available. 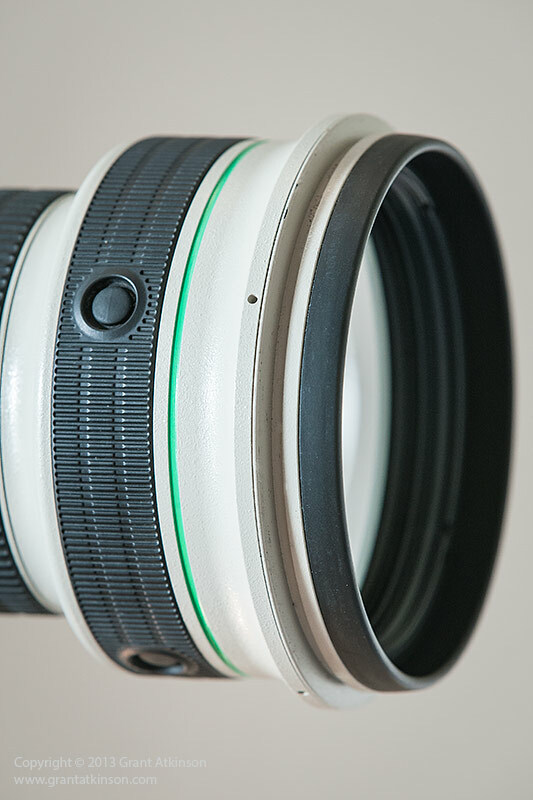 If you compare the MTF-curves of both the lenses you can see clearly the advantages of the 300/2.8-lens. Contrast and resolution of the 400/4 DO are not as good as with the 300/2.8 II, especially in the border and extreme. Also the properties at open apertures are different, in favour of the 300/2.8, not to forget the Bokeh of 8 blades (400DO) respectively 9 blades of the 300/2.8. May be, these reflections are too theoretically. But – if weight is decisive and not image quality – the 400 DO can be a good alternative for wildlife photography in my opinion. Hope you agree. Thank you for the review! This is a good lens! Another very clear explanation. So much so that I’d go out and buy one today! That is if I had the extra cash!!!!! Interesting to read your review. As you may recall, I also have the 400 DO and used it when we were together in Chobe/Kasane. On my last two trips to Timbavati, I’ve used the lens on the 5D MkIII and find that combination to be the right length for most of my shots in the lowveld bush. 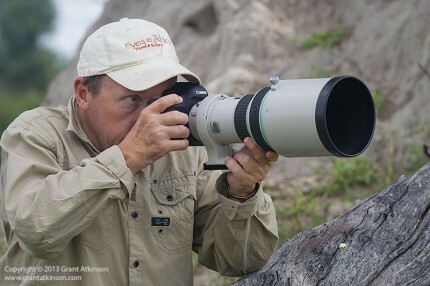 On the trip to Chobe, it was often a little short without the 1.4x TC, In that open space and with the nice mounts on the Pangolin photo boat, it would have been nice to have my 500mm f/4; however, the light weight of the 400 DO even with the TC made handholding for birds in flight quite easy … and I struggle to do that with the 500mm. Overall, I’m really pleased with the trade-off of weight to telephoto length in comparison to other options. I could see where a mix of having this lens and the new 70-300L would work really well together on a full frame body. I have also been seeing some of the great results you got from using the lens on your FB page…so thanks again for chipping in here with your valued input! Thanks Grant for an excellent review. Thanks for the feedback. I would have to say that the 400DO performed really well with the 1.4x extender version ii on it, better than my EF 300 f2.8 IS does when fitted with the 2x extender version ii, sharpness quite close but AF performance more accurate and faster with the 400f4 and 1.4x extender. The 2x extender, old or new, always slows AF down for my own liking and I tend to get lots more hunting with it when shooting fast moving subjects. Thanks for your comment. When I am choosing equipment for my own use, I always place a value on light weight…I also do lots of flying on airlines to reach some of the places where I work, and there too, lighter weight is super valuable to me. Totally agree with you on light lenses also allowing rapid reaction for those unexpected shots….whenever possible I prefer to be able to handhold whatever I am shooting with. The 400DO is very light, and very easy to use well, and I believe that similar results can be expected from the EF 400 L f5.6, although I have not yet gotten to use one of those for any length of time. A full field review of the EF 400 L f5.6 is somthing I hope to be able to accomplish sometime early next year. I currently have the 1D mk4 with the 100-400 lens. I only really photograph birds and find the 400 reach just isn’t enough sometimes. I have the 1.4 mk iii and 2 mk iii converters but they don’t work well with my lens and I’m hopeless with manual focus anyway. My fellow birders have been differing in opinion between the 300 f2.8 and this lens. I’ve decided to opt for this one (have just placed my order) since it’s much lighter (I’m a slither over 5 foot tall) and will mean I should be able to manage hand held flight shots. I found your reeview really helpful, particularly since I’ve seen some negative ones, so I’m confident I made the right choice. Thanks for sharing your current experience here, and your gear plan. I think that when it comes to compact size, and ease of handling, specially for smaller shooters ,that the 400f4 DO is an especially good lens. It really is so light, and so much fun to use because of that manageability, that you should do well with birds in flight. The 400DO also works very well with the 1.4x EF extender in place. There will always be comparisons drawn between the EF 400DO and the EF 300f2.8, but for compact size and light weight, the EF 400DO is pretty much unbeatable, especially if the 300f2.8 has an extender in place. There are a good number of very happy EF 400DO shooters out there and I hope it works as well for you. Thanks for the great review of this lens. I currently use a 300mm F4 L, but I am thinking of upgrading to the 400mm F4 DO. A friend of mine has let me borrow his for me to try out. Everything is great, except that I cannot get my Canon EF 1.4x II extender to fit. Have you ever experienced any such difficulties? Is there a trick to it that I cannot see? Thanks for your feedback. 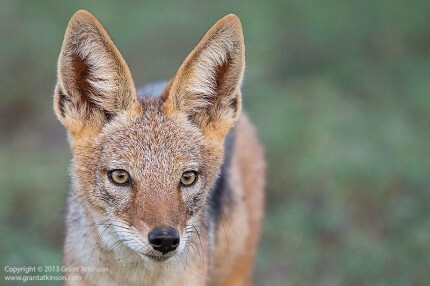 I am surprized to hear of your difficulty with mounting the EF 1.4x extender. I have used the 400DO quite a bit with the 1.4x extender attached, both the vii and viii. Maybe just inspect the lens mount for any burring or slight bending or damage to the aluminium plates in the lens mount, and do the same thing on the extender mount. Also, make sure there are no loose screws in the bayonet mount on the extender (there should be 4 of them) that are projecting out a bit? Cannot think of anything else other right now, and if the mounts are in good shape, then perhaps something in one of the mounts is slightly distorted, perhaps from a fall or heavy bump? Hope you get it figured out? Just one problem I had to fix at Canon Germany. Fortunately just before the warranty period I brought the 400 DO to the servicepoint at Canon Germany. The main tube and the focusing housing were not tight any more. The screws went loose during the rides in the desert of Oman. There were no optical or AF-imperfections but I thought, that before the DO will completely falling apart I get it fixed. In the meantime, I realized that I was not alone with this problem. Thus, I thought it should be communicated. Thanks for your links, I enjoyed seeing the images, especially difficult to get are some of the blue-fronted parrots against the green forest background. Also enjoyed reading your review, and your point is a good one about the EF400DO performing better with a 1D series body than perhaps with lesser Canon bodies. I found it equally good when used with my Canon 5Dmk3, and I was even quite comfortable with the 1.4x extender and the 5Dmk3. I think that the extra sensitivity in the AF systems of the 5Dmk3 and 1DX help AF performance in some of Canon’s older lenses quite noticeably. The EF 400 DO that I have used, has done lots of work on a boat offshore for pelagic birds, as well as many African safaris, and didn’t yet experience any loosening of internal parts, but it is normally transported in a Pelican case for protection. I think you describe very well your own requirements for lightweight and compact size in your review, and the 400DO is well suited for that type of application. Thanks again for your contribution here, and as you say, the price of this lens means that it will not be a natural choice for everybody…. Thanks for the great review of this 400 DO lens. I just purchased the 400 DO and needed some info on it . After using my wonderful 300 f/4 IS for a good while , and loving it. I wanted to extend my focal length in a prime . I really need IS on my lenses and the f/4 seemed fine, to me. I couldn’t afford to go any longer , so found a used , clean 400 DO. This was my most expensive lens I’ve ever purchased and I had high hopes for it. Took it out and tested it on some lake ducks, etc. and was very pleased with how it handled (tripod) and it’s IQ on my 7D. Next will try it on the 5D3. I feel like I’ve arrived and am excited to own this great Canon lens. To bad I didn’t get it in time for my recent Alaska trip but the 300 and 1.4X worked well. I believe this lens will be with me for a very long time. agradezco tus comentarios con respecto a esta gran lente de Canon. 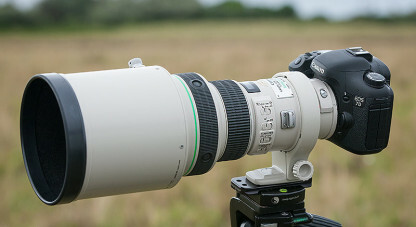 Trabajo con El 400mm f2,8 de Canon que considero uno de los mejores objetivos de CANON,pero en viajes a zonas algo accidentadas como las costas de Inglaterra, Irlanda o Escocia donde el peso es muy importante utilizo mi 400mm f4 Do. Es excelente su calidad y manejabilidad he hecho pruebas desde hyde con dos camaras iguales y los dos teleobjetivos y los resultados son muy parecidos. En multitud de comentarios leidos en la red las quejas son de falta de contraste. Si se usa con el parasol que incluye no se aprecia falta de contraste. Es una verdadera joya y lo recomiendo a quienes no puedan acarrear el peso del 400mm f2,8. En moda y publicidad tambien me ha dado un buenísimo resultado. Thanks for sharing your feedback on using the 400 DO in real shooting conditions, and your good experience provided by the lens..that is exactly how I found the 400DO to perform for me as well. I am looking forward to seeing what the newest version of this lens, just announced, can do! Again your blog influences heavily. I’m currently awaiting a pre-order for the Canon 400mm Do II. With it or in the same time frame a 7Dii. I think I’ve read about the limitations of the first gen 400mm DO and think the Mk II can only be better even if only incrementally. The 400mm range is something I will be using a lot so the DO II’s 400@f4 and 420@f4 from 300+1.4TC III both suit my need, and they are priced similarly. The pros of the 300+TC is the flexibility and ability to shoot at 300 2.8 if needed, while the 400DO II may have an edge on IQ and AF speed compared to the 300+TC. I have used the 300 plus exteneder 1.4ii combination, and i think that we are going to have to wait for the EF 400DO to land and get into real-world use before making a call between those two. Comparing the same lenses and extender in their version 1 form, I would have to say that it was quite difficult to choose one over the other. My own preference would be to have the 300 f2.8 with no extender, which has the best AF, and the best image quality, then the bare 400 DO, and then the 300 plus 1.4x version 1. Of course, that doesn’t take into account that 400mm might be the ideal focal length for your style of shooting. I am hoping to get hands on a 400DO mk2 for review and comparison purposes but no confirmation on a date for that yet from Canon South Africa but i will keep on updating this site. Hi Marek, unfortunately I no longer have the original 400 DO on hand to be able to make a measurement..sorry about that. 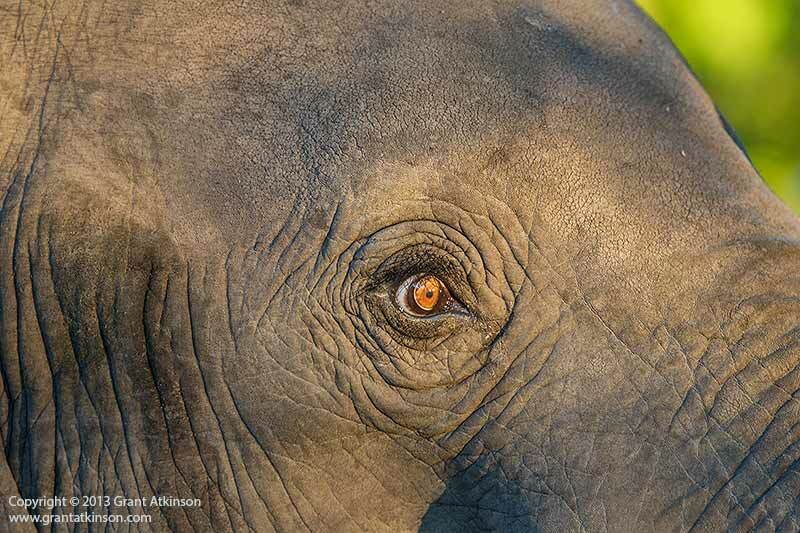 I am looking forward to your review of the 400 DO II, as I am going to purchase a big tele to go with my new 7DII. I have rented the 400 f2.8, 300f2.8 II with 1.4 and 2.0 TCIII’s, but not able to rent the 500 f4 yet. I found the new 400 f2,8 II much lighter than the older version and it takes TC’s very well. My subjects are birds, BIF’s and wildlife. Mounted on a 7DII the 400 f2.8 becomes a 640 f2.8. The 300f2.8 + 1.4TCIII is a very portable 420 f4. but might be a bit short for small birds. The 400 DO II might be the best compromise but I am concerned about sharpness/IQ, particularly with 1.4TC attached. Hi Ken, thanks for your interest. I am scheduled to have an EF 400DO II for testing purposes sometime in early Januar 2015. From what I have seen of Canon’s new telephoto lenses, both fixed and zoom, in the last few years, and the resolution charts that go with them, I have a lot of confidence in how well the new EF 400DO is going to perform. My expectation is that the EF 400DO II is going to be sharper, and focus faster than the original model (which is a decently good perfomer in its own righ) and will not give away much at all to the other big Canon super tele version II lenses. I also think it will work very well with a 1.4x iii extender as well..
I’ve yet to use the lens ‘bare’ yet or with the c1.4TC, but with the cTC2.0 results I’m sure they will be fine. I am very excited to see the new 400DO ii and do some shooting with. Great news is that you have the 300f2.8 on hand, and that the two lenses are comparable in their performance for your shooting requirements. The image of the flicker/woodpecker on Flickr looks to be nice and sharp and specially noted that it was shot with the 2x extender, and with good contrast..please keep up posted on how you do with the lens. Grant, I would like to thank you for one of the better if not most enjoyable reviews of this lens; because of this review I have ordered and hope to receive it today. Thanks for some of the best reviews on the web. 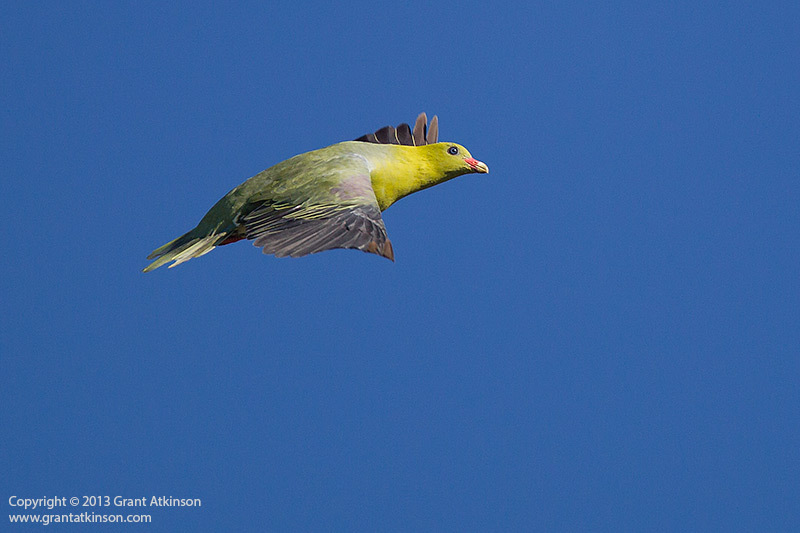 Thank you for sharing your experience and knowledge and some nice photos; the green pigeon in flight and the kingfisher are exceptional! Who’d want any other lens if one can achieve this with the 400 DO ver 1!? 1. Front filter. This lens should see a lot of use in dusty and field conditions. I see no mention of any protective front filter. A big risk for an awfully expensive lens – at least for the likes of me! Will a front filter severely degrade the image? If not, can you advise – what is the filter size? UV or skylight 1A – which will prove more appropriate? 2. Use of those 4 black circular lens buttons at the front end of the lens you mentioned in passing in your review (image 6), but did not explain in detail. 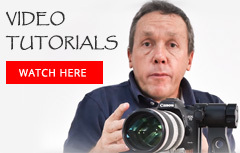 Can you please explain how to use them on a 5D II? 1. As for your questions, I dont actually know what the front filter size would be and I am not even sure if you can fit one. There is what looks like a thread on the inside of the collar around the front end of the lens, but is probably just strengthening ridges or to do with gaining access to the inside of the lens itself. I have never seen anybody using any kind of filter on the 400DO, or similar lenses like the EF 300 L f2.8. The lens hood for the 400DO is very deep, and completely effective at protecting it. From the end of the hood, which has a rubber edge to it, to the front element, is around 14 cm deep. I use my lenses like this in dusty conditions almost all the time, and I have never had a problem with it. I just keep it covered whilst not shooting, and blow the dust off each day with a hand blower. 2. The black circular buttons can be used for different purposes depending on what Canon camera body you are using. Although there are four buttons, they all do the same thing, and are spaced around the lens so you can reach them from any angle or grip. The default setting is usually to stop autofocus whilst you hold a button in. This enables you to work in Ai Servo focus mode, but merely push in one of these buttons to lock the focus, for those times when a focus point does not match your composition. As soon as you let go of the button, the focus works as normal once again. On the newer Canon bodies, the possible options for using those buttons has been expanded, from starting IS, to switching between Ai Servo and One Shot, and more. I am currently working on the review of the EF 400 DO mk ii. Very much looking forward to you assessment of the 400 DO ii. At this point I’m completely smitten with it. Recently I’ve added the 100-400 Mk II and have recently taken both on a trip. I kept the 100-400ii on the 5Diii for possible sudden close encounters and the 400 DO ii on the 7Dii for the further shots……it is a great combo. Also another pleasantry with the 400 is its ability to take a cTC2.0. Even if I could afford an 800mm I couldn’t carry it. The IQ will always take a hit with the 2.0 TC but not nearly like I feared. For any salivating while waiting on Grant’s view of the 400 DO ii here are links (if Grant allows of course) to to pics via the 400 DO ii, first with cTC1.4 and second with cTC2.0, just note the shot with the 2.0 TC was at great distance. Thanks for the links, Robert, and the real-world feedback. I have also been in the field with a similar gear arrangement to you, the 100-400mk ii for a general purpose zoom on a 5d3, and then I had both the new 400 DO mkii as well as the EF 500 f4 L IS ii on hand, with a 7dmk2 and another 5d3 body. I have not used the new 400 DO in the field for long enough yet to complete a review, but so far, it seems to be an excellent super tele lens. I have used it only with the 1.4x iii extender, so your images with the 2x extender are of added interest. Thanks so much for the detailed explanation. Much appreciated! Happy shooting with the new DO Mk II…! A side by side comparison shooting the same subject in real life field conditions without any post processing or editing (maybe original JPEGs?) may really help understand the quality difference between the the two versions. Look forward to it! early day’s yet but you helped sorting out the wheat from the chaff regarding this lens. Thanks for your feedback. I like the original 400 F4 DO a lot and found it a great lens to use. One thing which is not in my review, but that I have heard from a few users/owners in the interim, is that the original 400 f4 DO IS can be susceptible to some loosening of an internal section within the lens barrel. I never experienced that, but perhaps if you carry the lens in places where it gets subject to lots of vibration and bumps, it might be worth having it checked over by Canon from time to time. Good luck with the lens and hope to see some images that you get with it. Thanks for your detailed evaluation. I was hesitating as it did not have a red ring but after reading your report I decided to go ahead and buy one. So far I have been using the 70-200 2.8 IS with either the 1.4x or the 2x for wildlife. The 1.4x was ok but I was not satisfied with the 2x on it. As I live in India, most of my trips are to the national parks and photography is from open vehicles. I often found the 70-200 on the shorter side and needed a light and compact lens with a little more reach. Thanks for your feedback, and I have also been using the new EF 400DO mk ii quite a bit recently but not completed writing up the review as yet. I found the original EF 400 DO IS USM to be much better than any combination of extender and zoom lens like the EF 70-200 f2.8 etc…. Contrary to some other users experience, I also found that the lens performed quite well for me, that is the 400 DO IS USM (original) with the 1.4x extender from Canon, although I only used that combination on full frame camera bodies or the 1Dmk4 – not on APS-C sensors. Just read your post. Seems we have a common interest – wild life with a 400mm… hand held! I just wrote to Indranil. I included my email address with a view to contact him and discuss the practical aspests of handling this lens. (It is tedious to write long dialogues; more efficient if one can talk directly.) I gave the address voluntarily and I see no reason why it should be blocked out. Kindly let it pass. Thanks! Grant thanks for all the insight into this lens . I’m taking my 400 F4 DO to Kruger in July. 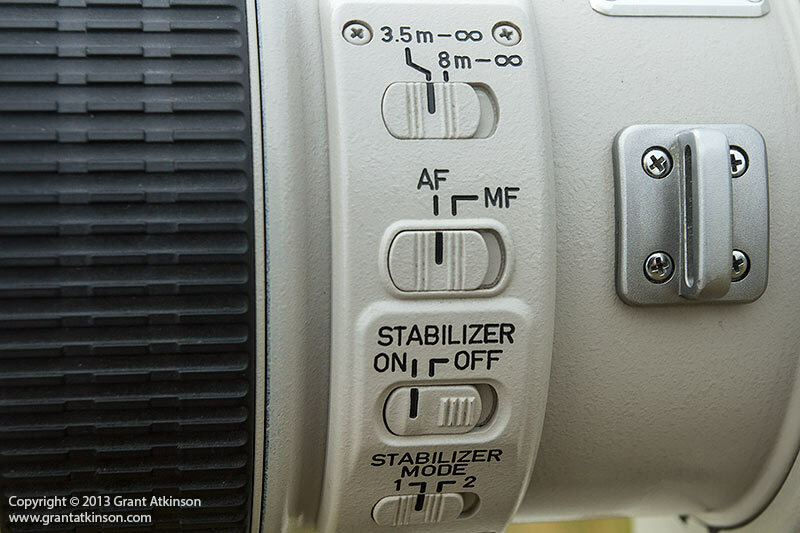 Would you use the image stabilizer when on a monopod from Land Cruiser? Is so. What setting would you set it to? Hi Willie, if the Landcruiser will have other people in it, who may be shifting or moving around, then I would make use of IS, just put it on Mode 2 when you have it mounted on the monopod. By Landcruiser I assume you are referring to a game viewing vehicle where you will sit on bench seats and in rows, and the monopod foot will be on the floor of the vehicle. For regular handholding with this first version of the lens, make use of Mode 1. Thanks for your advice. Yes probably 5 more people on the vehicle. I’m leaning to have my 100-400 Is II in my 5DmrkIII(mostly handheld IS on 1 ) the 400 F4 DO on my 7D Mrk II (monopod IS on 2 ) for longer shots and bird, and 17-55 F2.8 on my 70D for closer shots and video. I’m trying to to change lenses while on the vehicle . Any advice would be deeply appreciated. That great migration trip sounds very interesting.